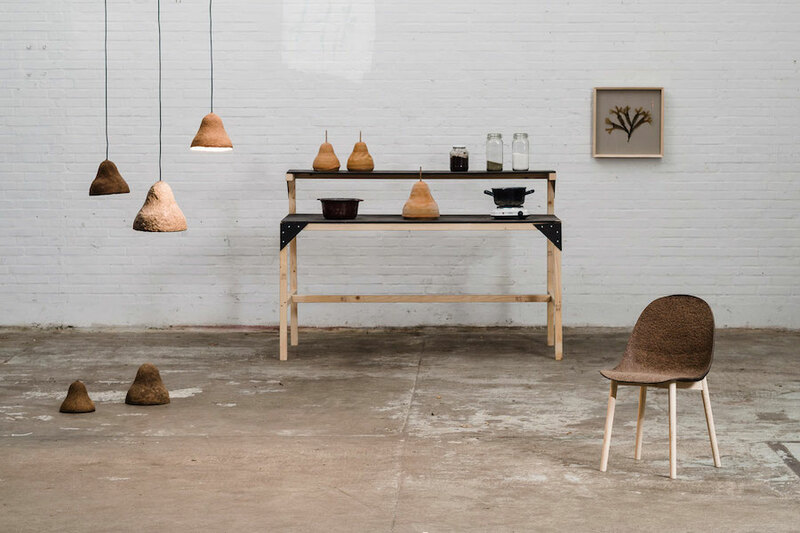 Danish designers Jonas Edvard and Nikolaj Steenfatt have collaborated to create a truly green fabrication process using seaweed. 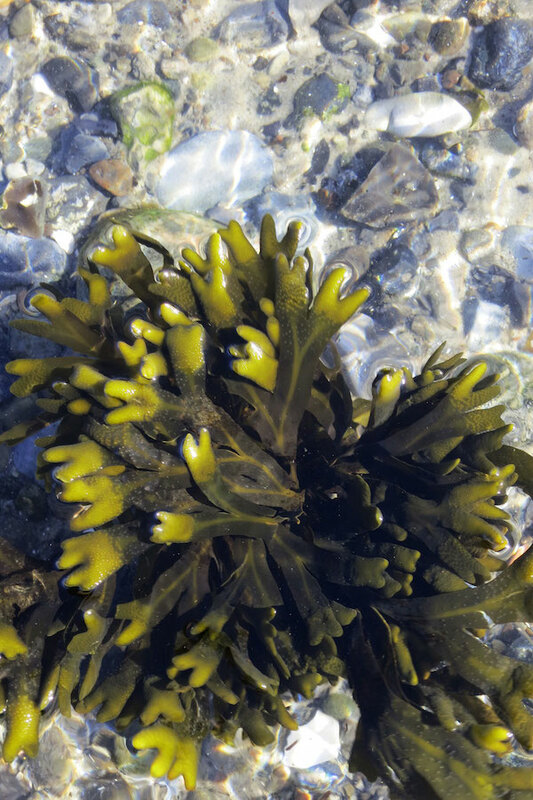 Selecting only fresh seaweed from the Danish shoreline, they sort the material by color (dark to light) and hang dry it outdoors in the sun. They then pulverize the material and create a moldable glue-like mixture, a natural property of the alginate found in brown seaweed. It can be shaped and molded and then kiln-dried. 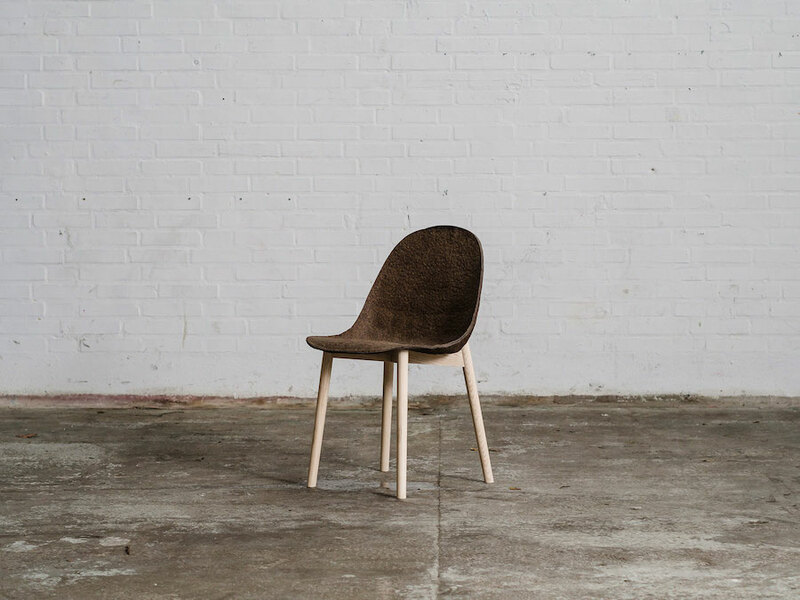 The material used to create these chairs and lighting can even be broken down and reconstituted to create new forms. This is the very definition of sustainability.